"Wait. I remember you. I think." Clara shook her head. "Do you really? How marvelous!" The little man said, raising his hat. "How nice to see you. Again, apparently. Though I'm afraid I don't recall meeting you. Sorry about that. That's how it is with time travel, you know. It can get a little confusing after a while. Never knowing who's coming or who's going. Or who is where he really shouldn't be, right now." "Oh, right. I'm not supposed to be here, am I?" The Doctor shot back at the stranger. "Well, apparently I am, so tough cheese." "It's happened again, hasn't it? Two of you in the same place at the same time. Sorry if this seems rude, but my memories are a bit hazy when it comes to the Doctor's time stream. Which one are you, then?" The other Doctor smiled benevolently at Clara. "You're not being rude at all. Even my rather sizable brain can get a bit muddled at times. 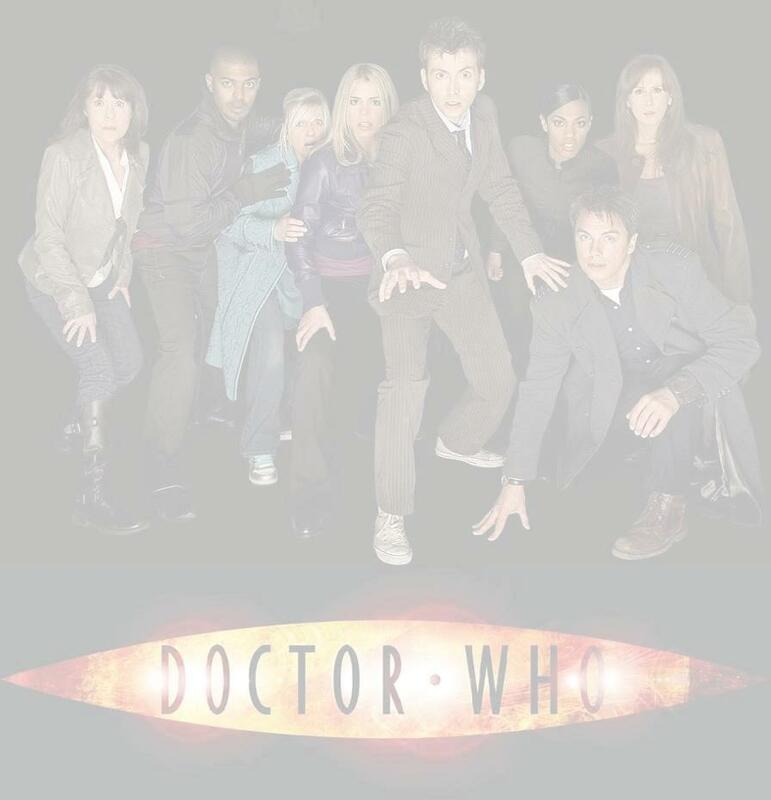 I'm currently in my sixth regeneration. Which would make me number seven, I suppose." "What happens when I need one of you?" She asked her version of the Doctor. "What do you usually do?" The latest version of the Doctor asked. "There's two of you, right?" "Yes. I have noticed that, Clara." He said, shaking his head at her apparent thickness. "But, what if I only need one of you?" She explained. "What then? I can't call you both 'Doctor'. It would get far too confusing, wouldn't it? And 'Other Doctor' would just sound weird." "What else could you call us, then?" Clara's Doctor asked. "Oooh, I rather like that." The other Doctor smiled. "Of course, I would be Thing One." "Ah. I understand, Clara." Her version of the Doctor said, almost patronizingly. "Why don't you just call me the Doctor, like you always do. And you can call my other self, later. On your mobile. When he gets back to his own TARDIS. Where he belongs." "This regeneration of yours came out rather cranky, didn't it?" The other Doctor replied, tapping his chin with the question mark shaped handle of his umbrella. His eyes twinkled mischievously as he asked his other self, "What happened? Wait! Don't' tell me. You got zapped by a Dalek while you were hiding in a porta-loo? Now that would be embarrassing. No wonder you're such a misery guts." "No one's called me that for years. Not since I met Drax on Zeos all those years ago. Still," the other Doctor sighed, "I suppose it will serve our purposes. If that's alright with you, my dear...sorry. What was your name?" "Theta's fine. At least it's short. I won't waste time by having to call some ridiculously long and unpronounceable Time Lord name." Clara smiled and gave him a friendly wave. "Hello, I'm Clara." "It's very nice meeting you. Wish I could say the same for my future self." Turning to the Doctor he asked, "What are you doing here? I must say, you're timing isn't very good. I'm in the middle of trying warn the bishop or Rouen that this area is about to be infested by a whole horde of Goji. Though this lot calls them dragons. Believe they breathe fire and all that. Load of poppycock, of course. It's been nice chatting with you, but I really must get back there. If we can organize enough resistance, we can finally put an end to the Goji." "You thought you did, erm—Theta. Your lot apparently missed one out." The Doctor told him. "That's why I'm here. A Goji turned up again in early twenty-first century London. I thought it was simply planning on wreaking havoc there. Unfortunately, it was only some sort of pit stop. So the creature could obtain the energy it needed to guide itself through the vortex. And it traveled in time right back to here. To this specific time and place." "Oh dear." Theta shook his head. "I can't say I like the sound of that." "No, neither do I" The Doctor frowned, "I think it's trying to prevent your little uprising from ever getting started. And if that happens..."
The Theta Doctor finished his sentence for him, "...Then the population of this planet will be decimated. Either driven to madness, or run by a population of small children and infants with no idea how to survive." "What happens then?" Clara asked her Doctor. "Theoretically speaking, if that happens human civilization would collapse. All learning and knowledge would be virtually forgotten. People might even devolve. Rather drastically, I'm afraid. Become more animal than human." "Or, your species may simply die out altogether." Theta said somberly. "Which is why we have to find our rogue Goji, before it can prevent Romanus from destroying its species." "I don't like to think about it, but yes." Theta said, sadness clouding his eyes. "I suppose that's true. If there had been any other way, believe me, it would have been found. But the Goji are a danger not just to you humans. But to every single intelligent species in the universe. They must be stopped." Just then, the three of them all turned when they heard the pounding of many hooves. Coming through the fields rode a dozen knights, their horses hooves throwing up clods of mud as they pounded into the village. The duck flapped away, scolding the newcomers. The mule rolled its eyes at the riders. It gave a loud bray in alarm, which somehow reminded Clara of the noise the TARDIS made when it materialized. There a man among the riders whom was clearly not a knight. He dressed in fine crimson and silver robes, with a large silver and gold stole stitched with crosses hung down from his neck. On his head was a matching embroidered hat sewn with pearls and precious gems. He was carrying an ornate solid gold shaft shaped somewhat like a shepherds crook and—almost incongruously, a long sword strapped to his side. The lead knight, dressed all in black, ordered the others, "Surround that man! He won't escape us a second time." He pointed his war ax at Theta, as he slid his horse to a halt. The two Doctors and Clara had to duck to avoid being splattered with mud. "We shall burn him yet, my lord bishop!" The lead knight shouted. "Oh dear." Theta murmured. "Not again!"